As many may already know, the Islamic religion dictates everything from the way people worship to what they eat, wear and drink. 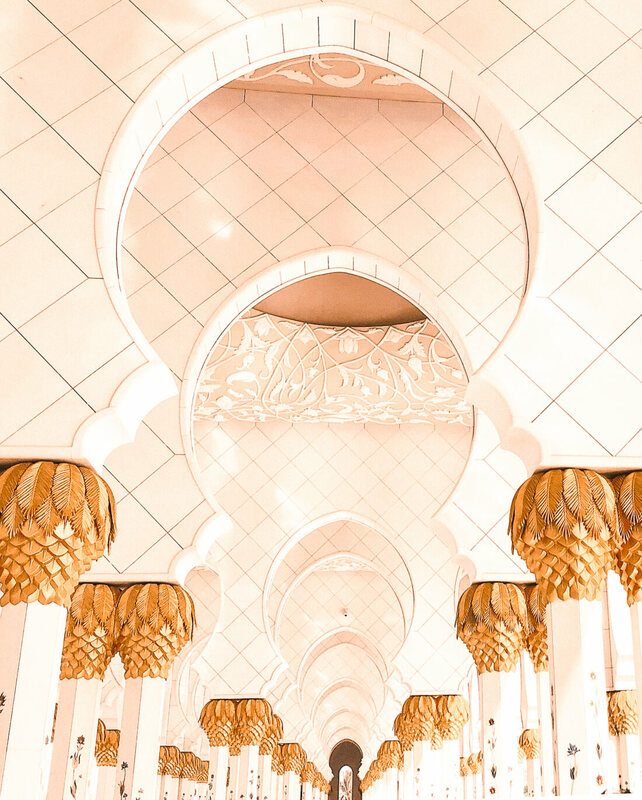 Although the culture of the UAE is inextricably linked to Islam, Abu Dhabi is a truly shining example of Islam’s commitment to hospitality and tolerance. Though the culture is firmly rooted in Islamic traditions, Abu Dhabi is spreading its wings to embrace international influences. Today in Abu Dhabi, the mix of strong local heritage commitment and the influx of international cultures has created an interesting mix of old and new. Foreigners and expats who live in Abu Dhabi are free to practice their own religions without fear of oppression; women drive cars and walk around freely without fearing control or judgment. Visitors are charmed by the genuine hospitality and charity of the Abu Dhabi locals, as well as their tolerance of foreign influences in their city. Given the speed of the city’s economic development over the past 30 years, you might think that Abu Dhabi would have forgotten its roots and become a western replica… But thankfully that’s not so! Abu Dhabi continues to promote cultural and traditional events such as local arts, performances, and sports such as camel racing, falconry, and dhow racing. The desert in Abu Dhabi is its oldest aspect! Modern changes have not and will not impact the desert which is a protected area. However, the Emirate is generous enough to allow tourists to enjoy a desert safari in Abu Dhabi, camping in the desert and enjoying its magnificent sunrises and sunsets. 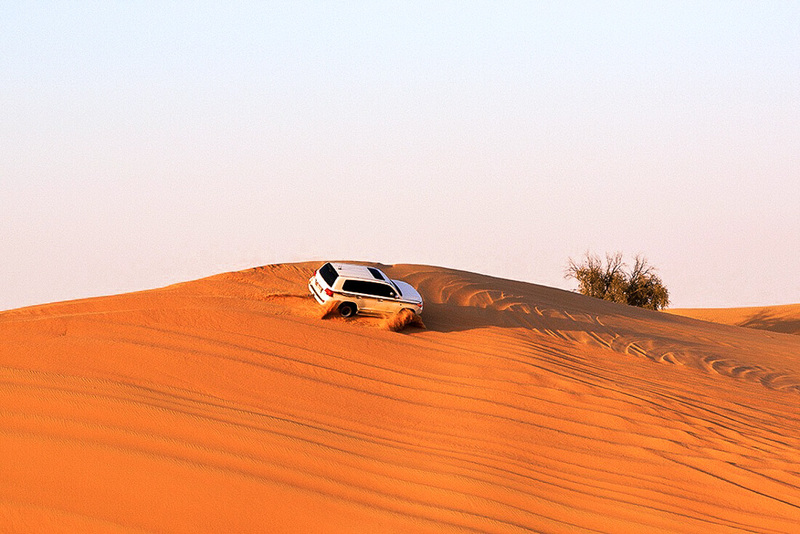 Various desert adventures take place including dune bashing, camel riding, quad biking and sand boarding. The Heritage Village is a replicated old Bedouin village, which depicts just how proud the people of Abu Dhabi are about their heritage. In this village, you can stroll amidst old sand houses and watch Bedouins cook outside their homes and tents. You can observe old handcrafted tools that have been used by the nomads for thousands of years, and the old wind towers that supply cool air to the sand houses. Be sure to stop by the handicrafts area to purchase a few items as souvenirs for your home. Al Ain is an ancient oasis in Abu Dhabi that has seven different types of sand. The surprisingly green oasis and the emerging rustic market are historic to the core. As you stroll through the cool paths between Al Ain’s date palms, you’ll hear the call to prayer from an old rustic mosque nearby. It’s easy to forget the glitz and glamour of the modern Abu Dhabi when you’re back to nature like this. 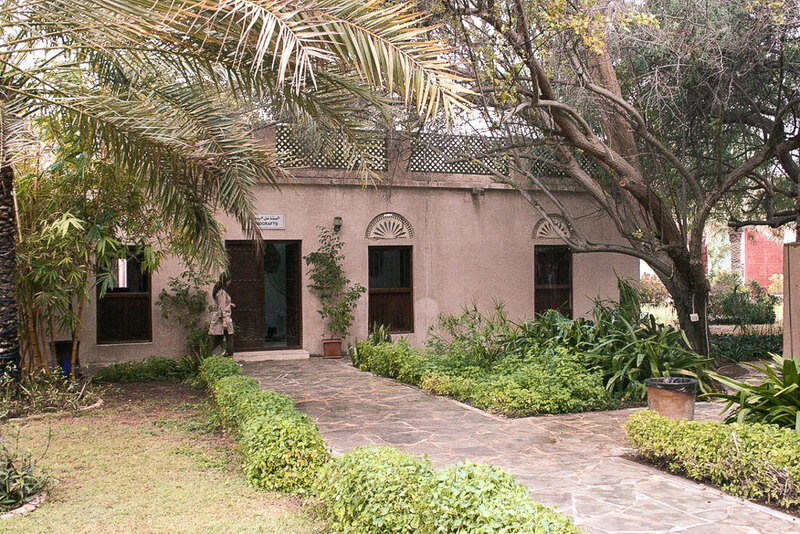 There’s even a one level wood and clay fortress that was the family home of Sheikh Zayed al Nahyan, the founder of the UAE. Al Ain is truly a slice of pre-historic Abu Dhabi! Beginning with the Al Jahili Fort, one of the biggest in Al Ain – then there’s the Al Murabba Fort, which was the former police station. 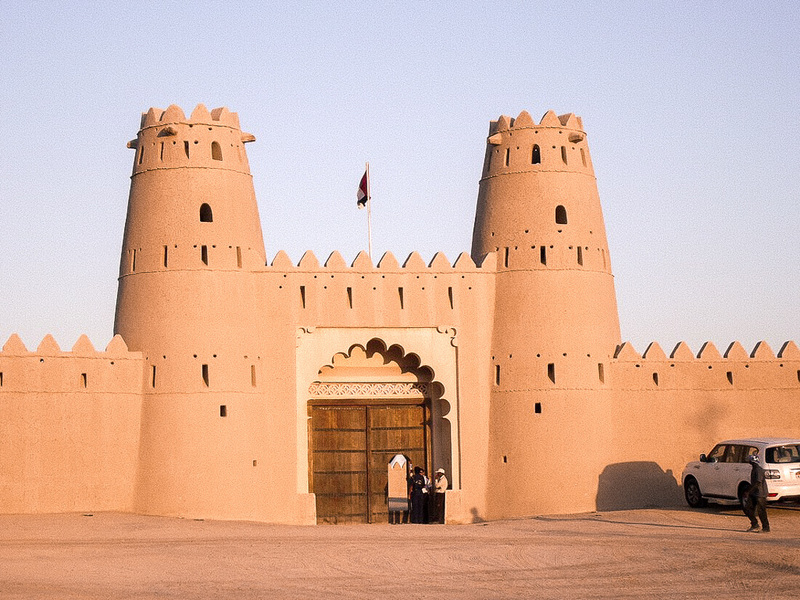 The Al Murayjib Fort is one of the three oldest forts at Al Ain. The Mezyad Fort at the foot of Jebel Hafeet in Al Ain is one of the area’s largest castles, and Qasr Al Hosn still stands proud despite the skyscrapers that tower above its white walls. Abu Dhabi’s old fish souq at Mina Zayed close to Abu Dhabi’s main port area offers a fascinating insight into how traditional souqs operate. The Al Mina Fruit & Vegetable Souk market bursts with traditional colour as every stall arranges its products outside the stall, as is traditionally done. The Carpet Souq is rife with Yemeni mattresses and machine-made carpets. There are two outdoor markets – Souk Al Qaws and Souk Al Bawadi which are attached to the enormous Bawadi Mall in Al Ain. For the visitors who are looking for something to take back home, Souk Al Bawadi has over 50 shops selling traditional items and souvenirs! 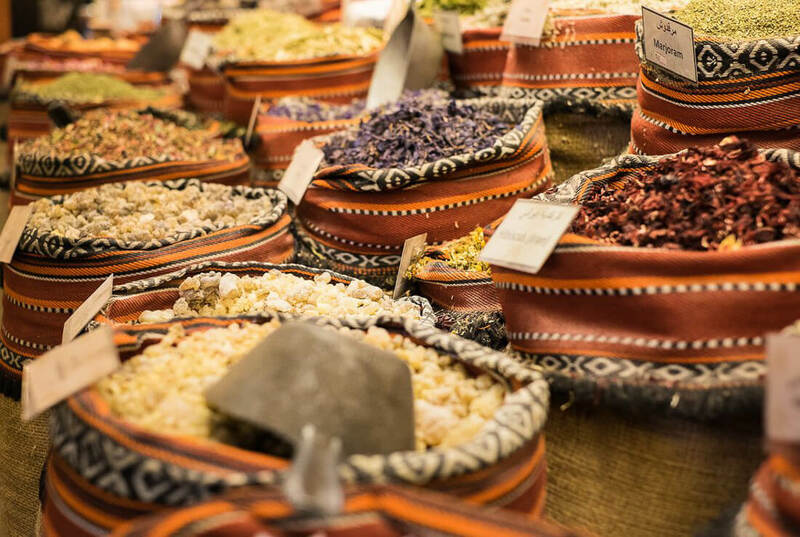 But for an authentic reflection of true Emirati culture, visit Souk Al Zafarana where you can find spices, henna, oud perfume, traditional garments and much more. Just a few miles away from Al Ain’s ancient landscape is the Ritz Carlton Grand Canal, which will become Abu Dhabi’s emerging market’s capital soon. It’s a high tech commercial hub that bridges the east and the west in Abu Dhabi. Yas Island is brand new and one of Abu Dhabi’s greatest modern triumphs. Entirely wester, Yas Island is home to the Yas Marina Circuit where the annual F1 Grand Prix takes place. It’s also home to the exciting and adventurous Ferrari World, which boasts the fastest and loopiest roller coaster in the world. Yas Island attracts thousands of tourists every year to Abu Dhabi. 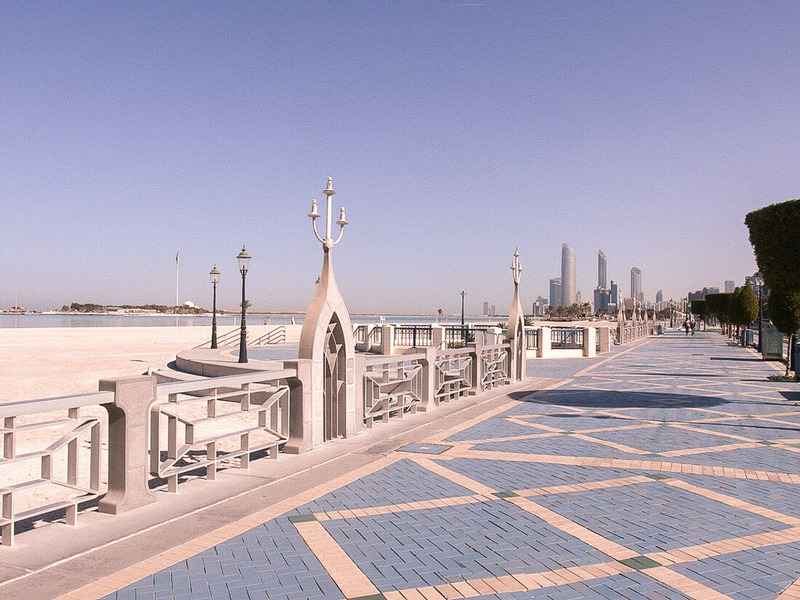 The place to be seen, the Corniche is a several kilometres long boardwalk along the seashore. 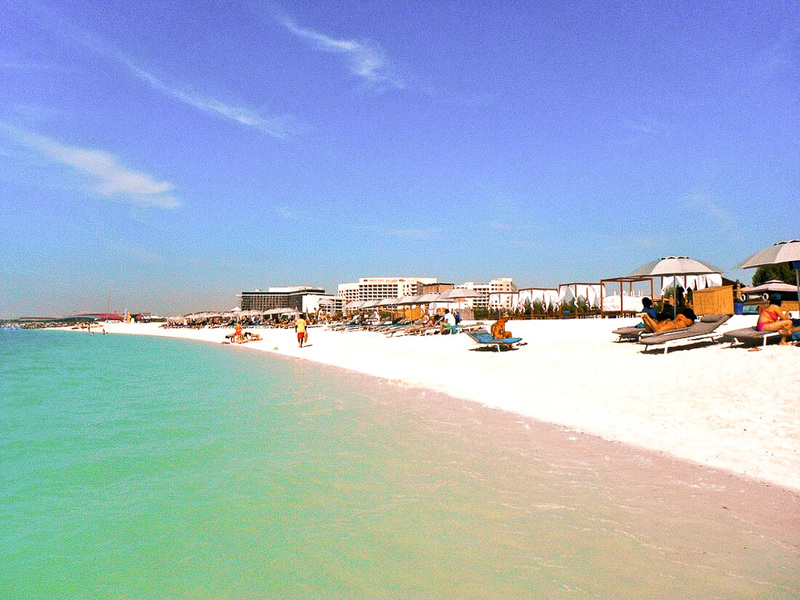 There are numerous excellent, fully monitored beaches off of the Corniche on one side, while the other faces some of Abu Dhabi’s best landmarks; such as the Emirates Palace Hotel, the Capitol Building, the huge Emirates Flag, Marina Mall and others. The Corniche forms a sweeping curve on Abu Dhabi’s western seaboard and has several cycle paths, fountains and park areas. This building is the first circular one of its kind in the UAE! 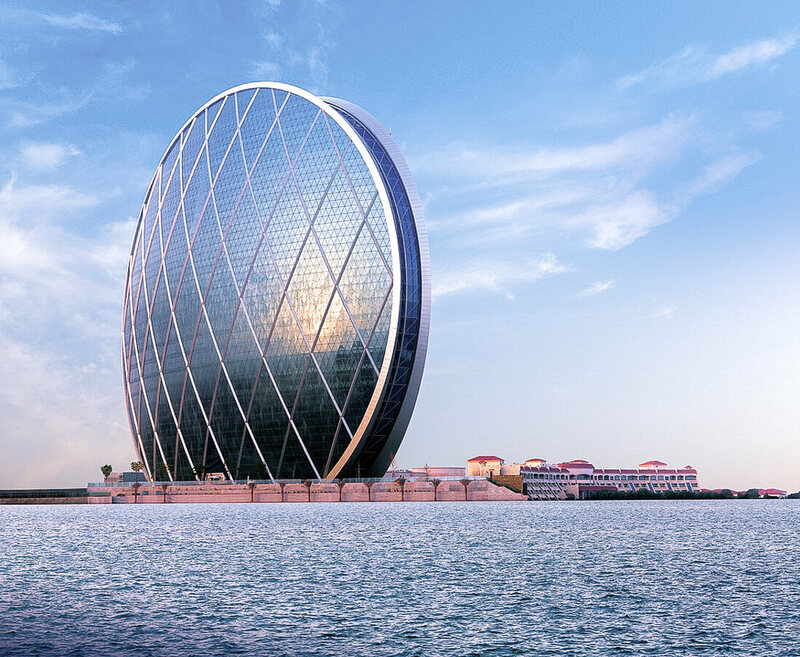 Located in Al Raha, Abu Dhabi, the sheer gumption of the designers is what draws people to see this building up close. The building is a complete round in structure and makes for an interesting architectural viewpoint within the city. 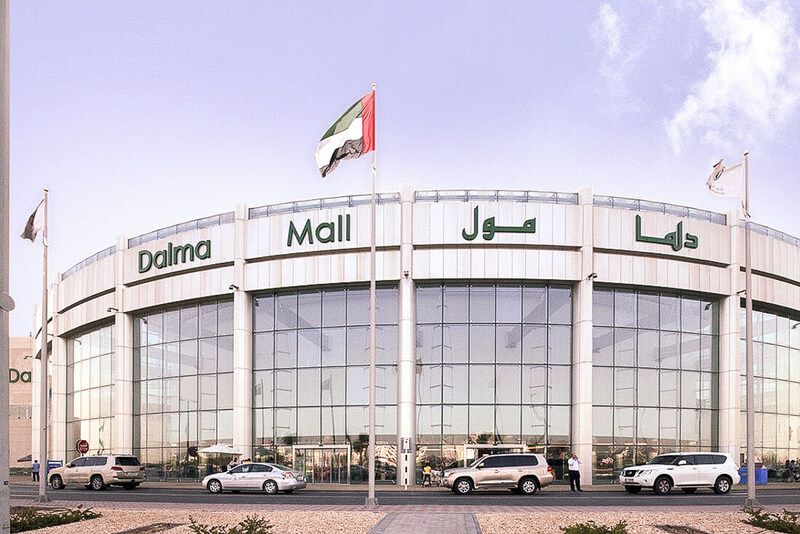 Dalma Mall is more than just a mall – It’s a complete one-stop entertainment centre with a play area called Fun City for kids, a Cine Hall multiplex theatre, and Adventure HQ, an outdoor adventure hub where you can enjoy camping, climbing, kayaking, water sports and much more. Abu Dhabi’s people coexist comfortably between the old and the new, with no specific changes to their traditional outlook or day-to-day lives. They live in the lap of luxury, but that has not changed their basic hospitable natures and their natural love of visitors. 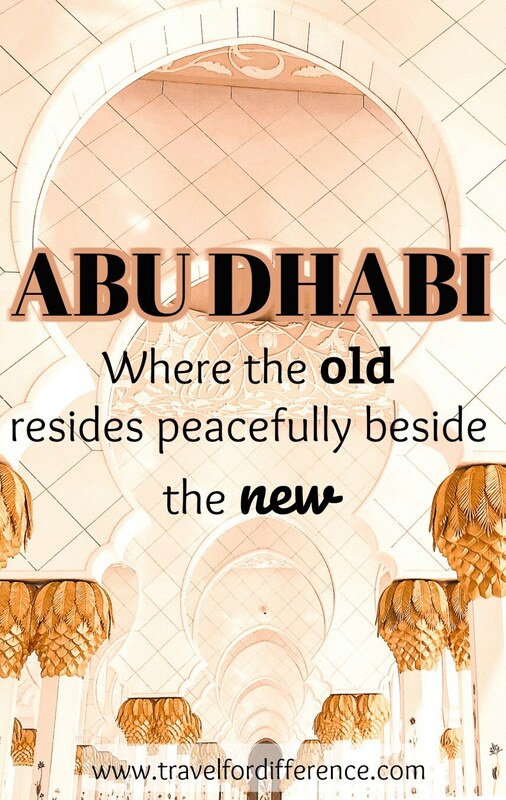 The old does reside peacefully with the new here – even as Abu Dhabi comes up with newer and more glamorous projects, this Emirate stresses on the need to maintain its core traditions intact, and not be swept away by all the flashiness that they pass by. An avid trekker & explorer, who often takes off some time from her busy life for mountaineering – Neha loves meeting new people and becomes attached to their culture very easily. Her ambition is to explore as many places as she can in her life. She strongly believes in Gandhian principle – “simple living high thinking”. You can read more of Neha’s content on her blog, Dubai Wikia. I sent your email week back. Could you please check it out? Dune bashing…now that is an awesome activity which I have to experience.